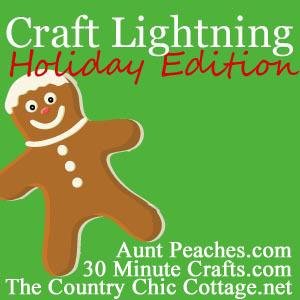 The Holiday's are here and I have to say...it wouldn't be complete without the inspirational and fun "Craft Lightning" series hosted every year by Angie at Country Chic Cottage and Carolina at 30 minute Crafts! For those few of you who may not have heard of it...Craft Lighting is a round-up of Crafts that take 15 minutes or less to make (minus drying time). 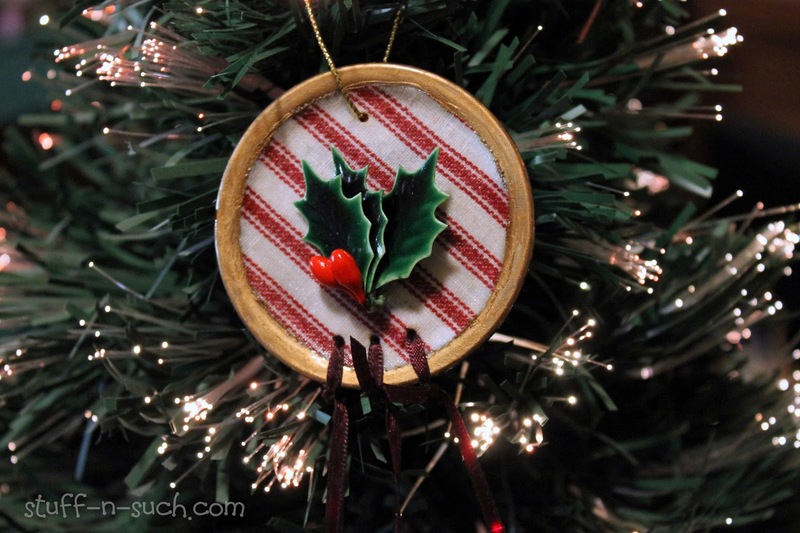 This year, for the Holiday edition Aunt Peaches joins in as a co-host with Angie and Carolina! 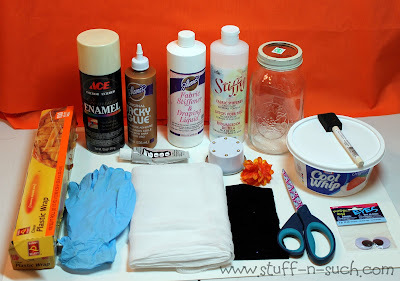 It gets a little tougher every year to come up with something "new" to make that hasn't been seen before...and I'm sure my project is not really new, but I have a hankering for recycle/upcycle projects using stuff I have collected (hoarded) over the years! 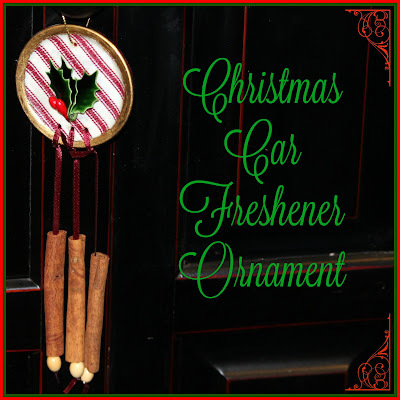 I was trying to think of something different than just an everyday ornament and for some reason my car popped into my head as it's fairly new... yet has lost that "new car smell" that we all cherish so much! So I thought how cool would that be to make a cute air freshener that could double as a Christmas Ornament! There are other little touches you could add to this ornament to make it even better, but as I was trying to keep it at the 15 minute time frame, I didn't get too lavish! One thing I thought of...was maybe adding a little pocket/pouch to the back of the ornament containing pot pourri or sachet scents as they are a bit stronger than just the cinnamon sticks alone. 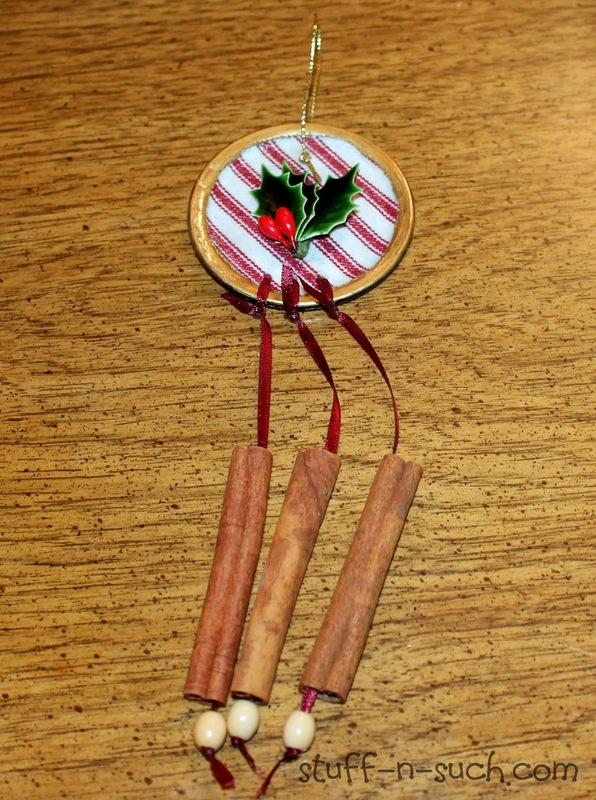 You can also boil the cinnamon sticks to bring out more of the scent if they are older and have been sitting around awhile (like mine had been!). 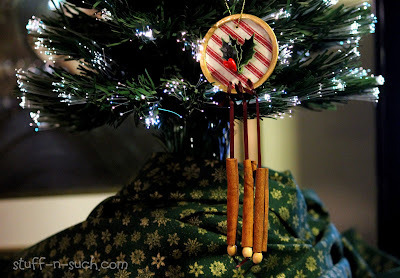 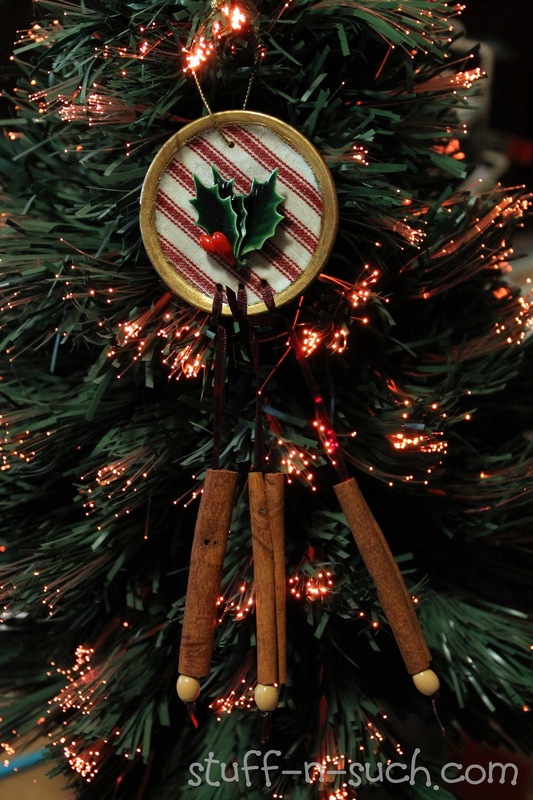 When the sticks lose their scent, you can either add the sachet or a spray to it, or just use it as a pretty Christmas Ornament for your Holiday Tree! 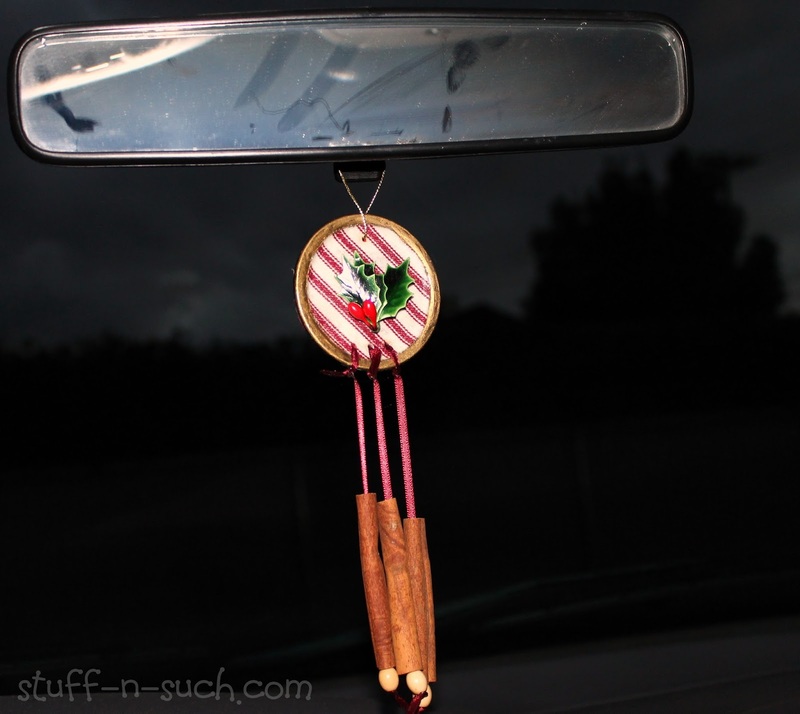 Ribbon, Dk. 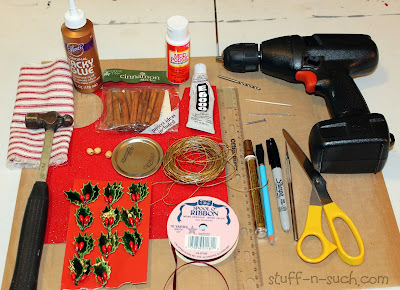 Red, Offray, 1/8"
Hope you enjoyed my post and be sure to visit Angie, Carolina and Aunt Peaches for more awesome Holiday Projects you can make in 15 minutes or less! 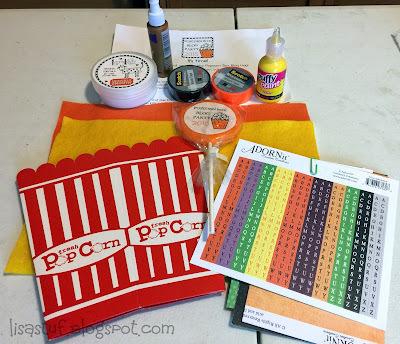 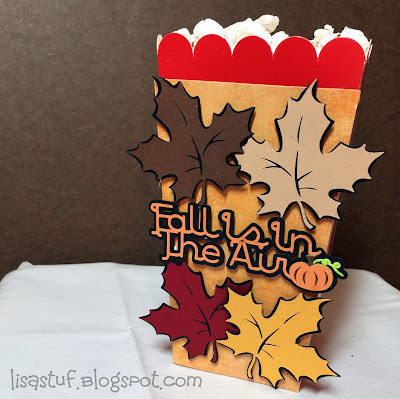 Every year Laura from Laura Kelly Designs hosts a great Blog Party where talented bloggers/crafters come together to create something fun from a Popcorn Box! 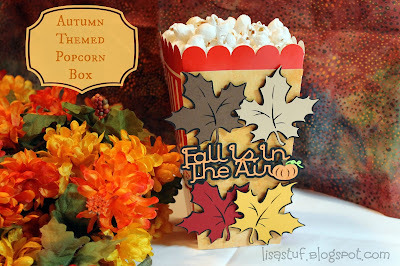 This is my first year to participate in this fun blog party and because Fall is my favorite season, I decided to decorate my box with that theme in mind. 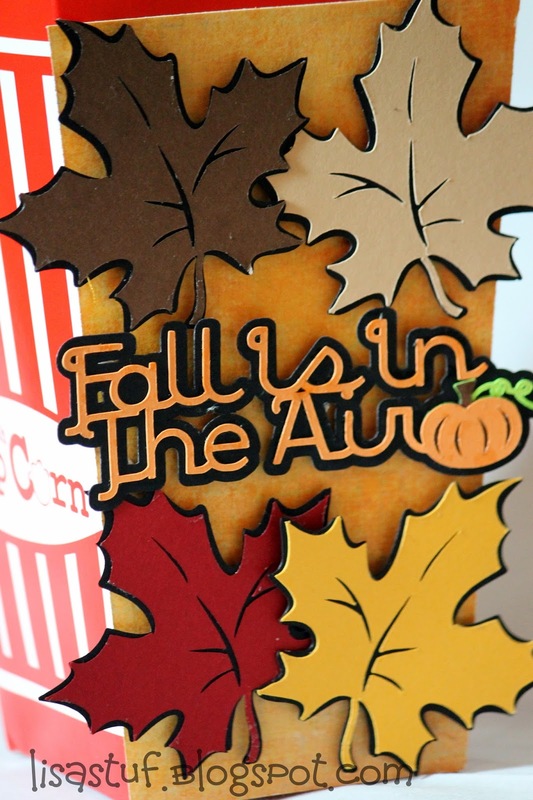 I chose the "Fall is in the Air" sentiment which is from the Autumn Celebrations Cartridge and the leaves were from the Sesame Street Seasons Cartridge. Of course I didn't have to actually use cartridges as I have Cricut Design Space in addition to the Cricut Explore Machine, so all my cartridges are stored "digitally" in the Design Space Online Application. 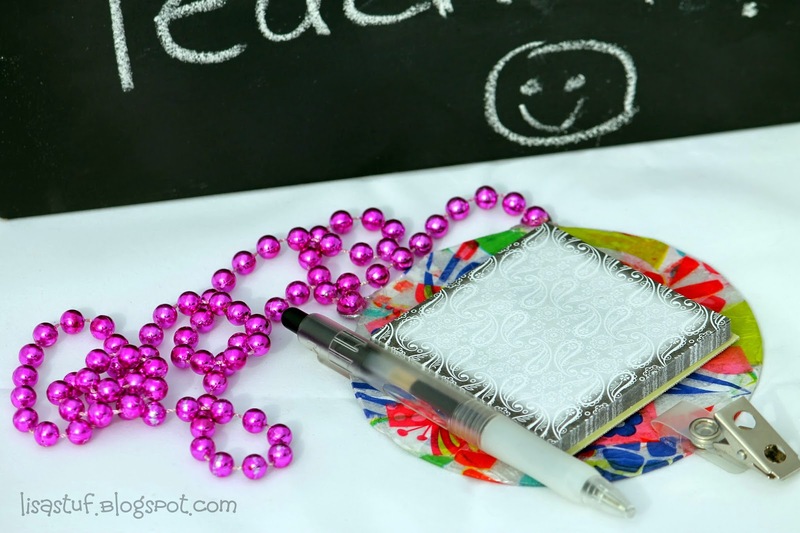 This is so conveinent and one of the many reasons I LOVE the Explore! I was also sent a small goodie package for this project from Laura that contained some crafty items from some of the sponsors of this Popcorn Box Blog Party and I used some of the cute patterned scrapbook paper from "Adorn It" for the background on the front of the Popcorn Box. 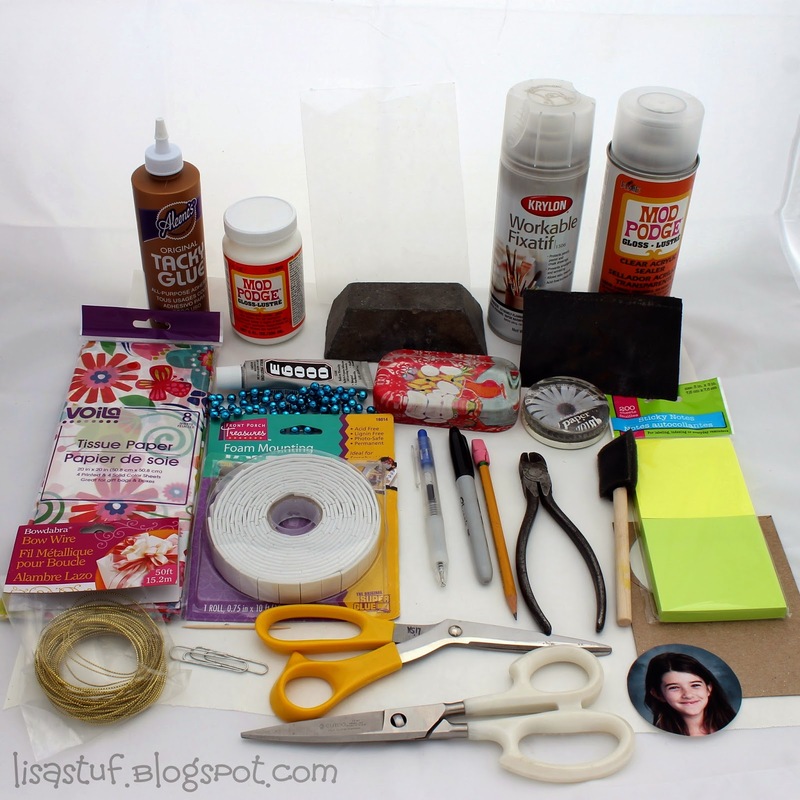 We were not required to use any of these items in our project they were just complimentary from the various companies. 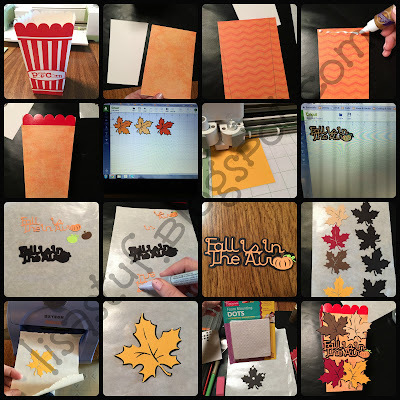 Cricut Cartridge: Autumn Celebrations, Img #M35512 - "Fall is in the Air"
Be sure to check out all of the other great projects in this party by visiting the linky below and be sure to enter the giveaway using the Rafflecopter Widget below. 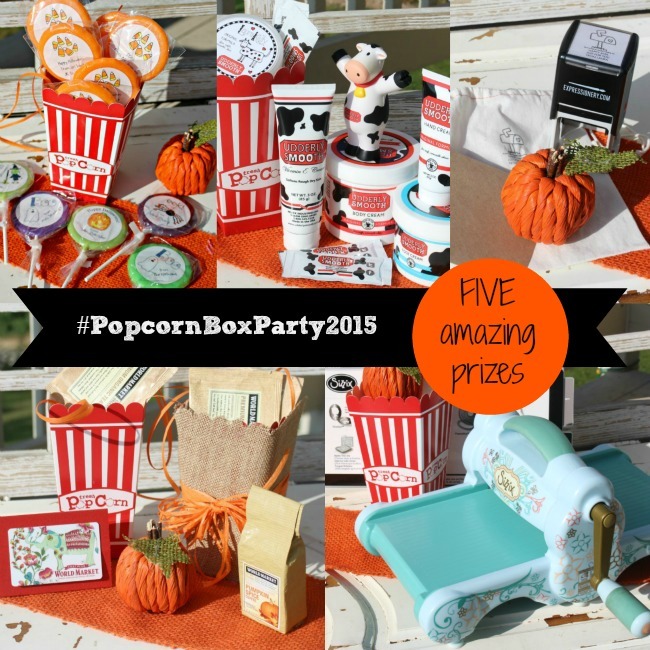 There are some great prizes! 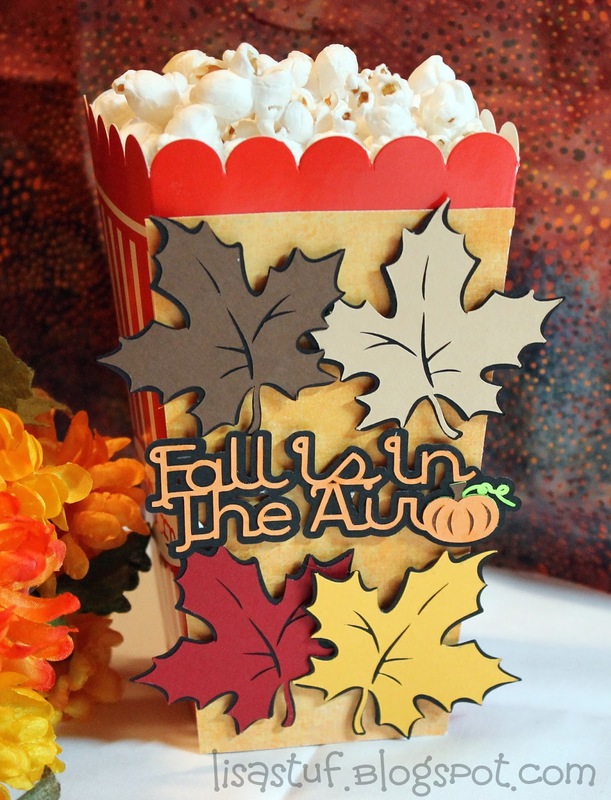 Thanks so much for stopping by...and "Happy Fall Ya'll" !! 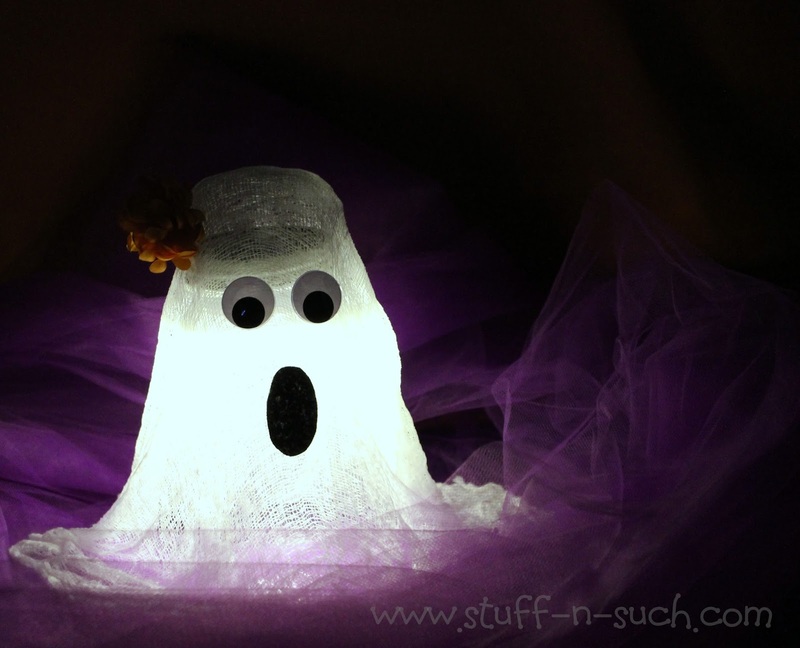 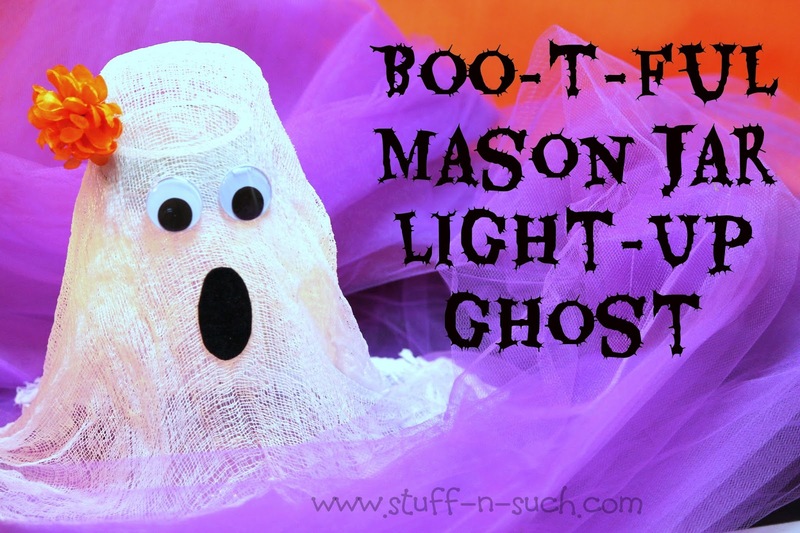 I just love Halloween for all the crafty possibilities it brings and what better way to celebrate and showcase Halloween than with a Craft Lightning Round! 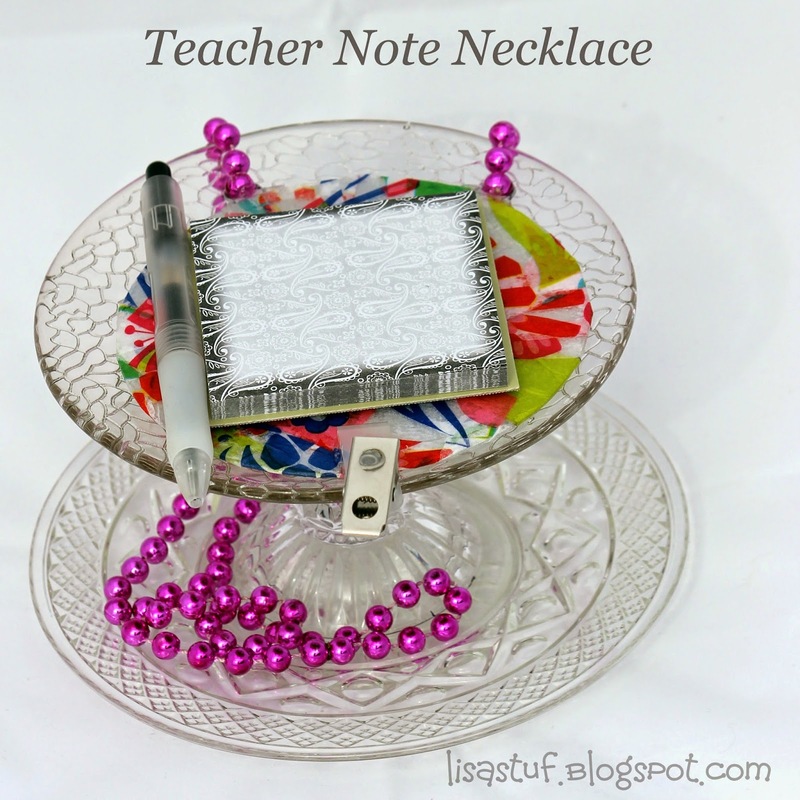 I always love participating in this great crafty collaboration with other bloggers and I am so appreciative of the Hosts: Angie from the Country Chic Cottage and Carolina from 30 Minute Crafts. 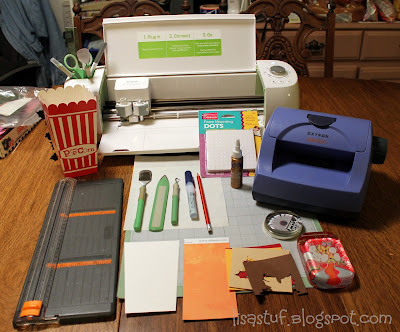 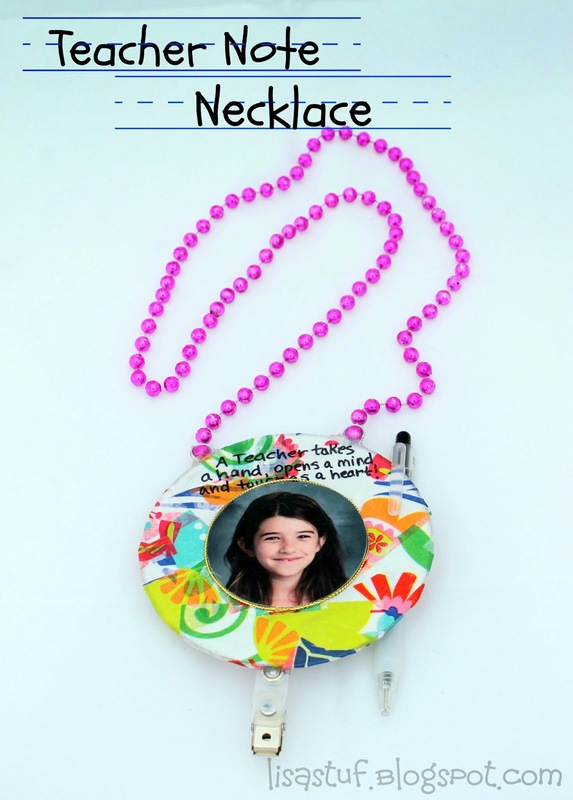 For this edition of Craft Lightning there is a guest host also, Jen Goode, from 100 Directions! 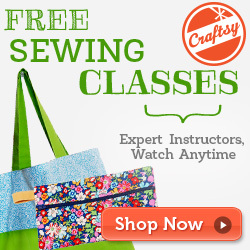 So be sure to check out all of the other great 15 minute Crafts on their blogs also! 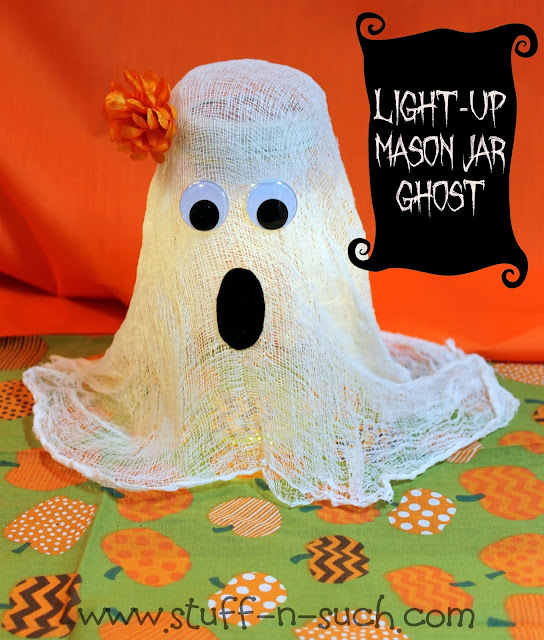 I was at a local craft store recently and saw a display of some of those popular glass blocks with lights in them and it gave me the inspiration for my project...a Spooky Mason Jar Ghost that lights up! 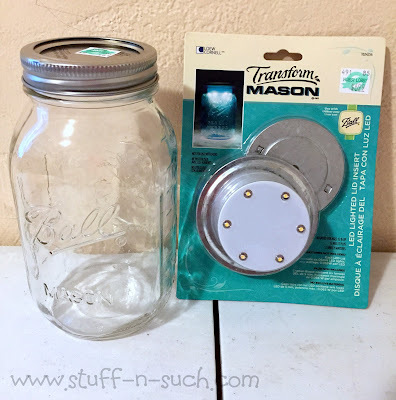 I didn't know how to make the mini string lights work well with a Mason Jar in the past, so I was pleasantly surprised to see this gem at my local Hobby Lobby! It's already set up to fit a mason jar perfectly and the batteries are hidden inside the round piece that attaches to the lid! I was pleased at the amount of light this gadget gives off considering it's powered by only a couple of AAA Batteries! 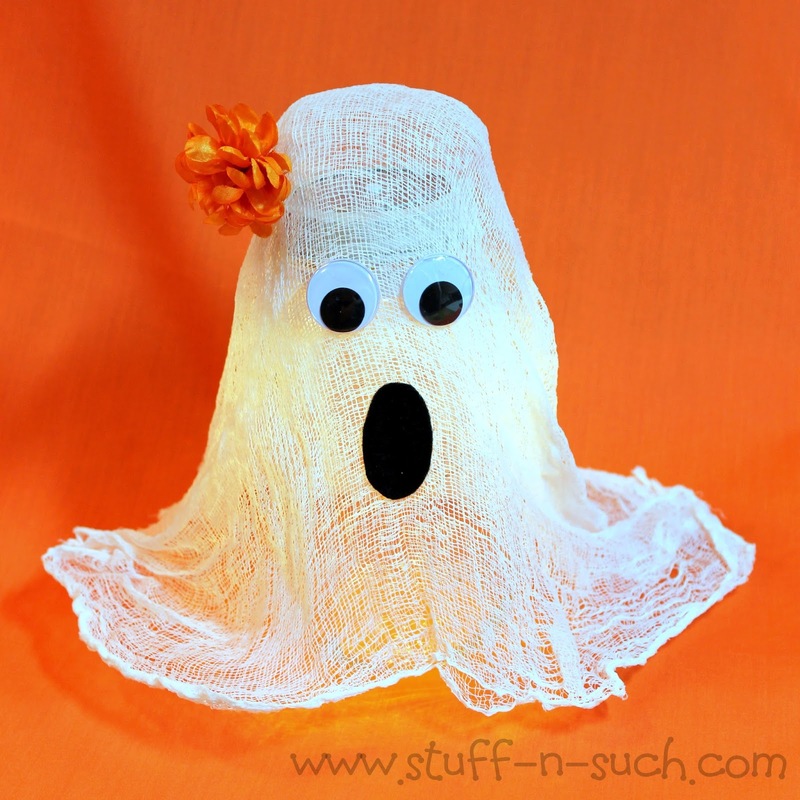 I decided to make my ghost a "girlie" ghost by adding a pretty faux fall flower. 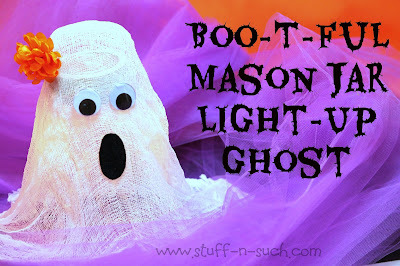 It gave her a little flair and didn't take away from her "spookiness" at all! 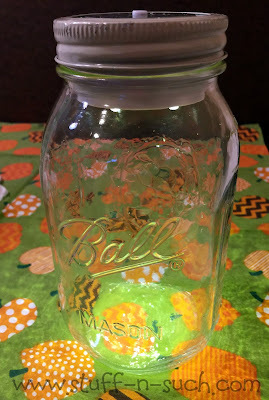 Ball Mason Jar, Large, 7"
Thanks so much for checking out my blog and be sure to click on the graphic below to see more great Halloween Crafts you can make in 15 minutes or less! 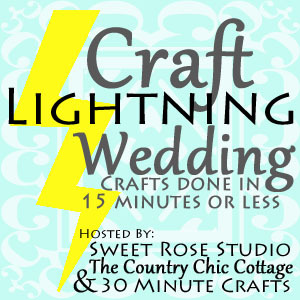 Summer is here and with it brings the wedding Season and what better time to have another round of the ever-popular Craft Lightning Series hosted by Angie at the Country Chic Cottage and Carolina from 30 Minute Crafts. Guest host for this Wedding Series is the crafty and talented Katie, from "Sweet Rose Studio". I'm so happy you all have stopped by to see what sweet and sassy wedding crafts can be whipped-up in a jiffy (15 minutes or less...minus drying time)! 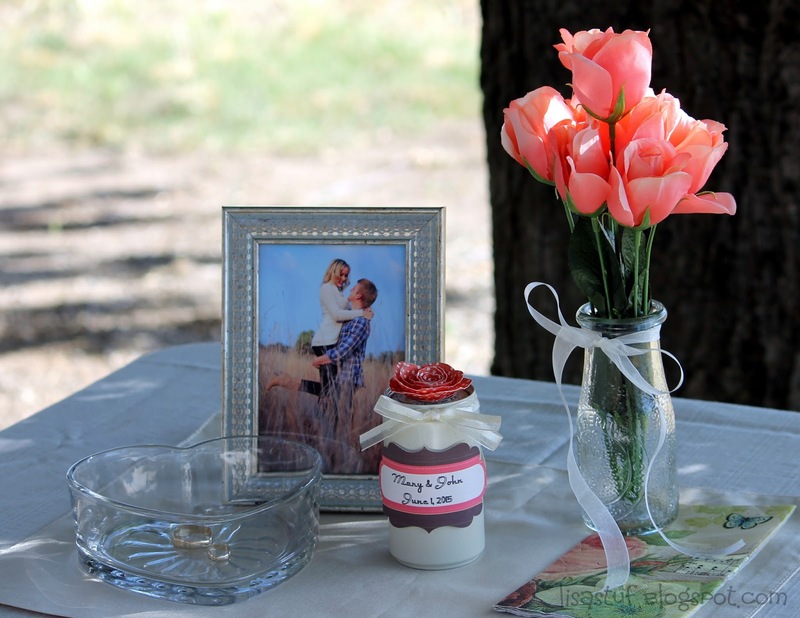 When I think of weddings, my favorite part has always been the cute favors offered to the guests as a token of thanks and remembrance of the big day! 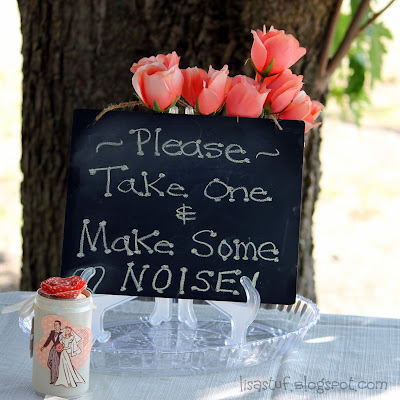 A tradition that is repeated at many a wedding is the celebrating or encouraging of a kiss or two between the Bride and Groom and I wanted to think of something different to signal that public display of affection besides the traditional bell. 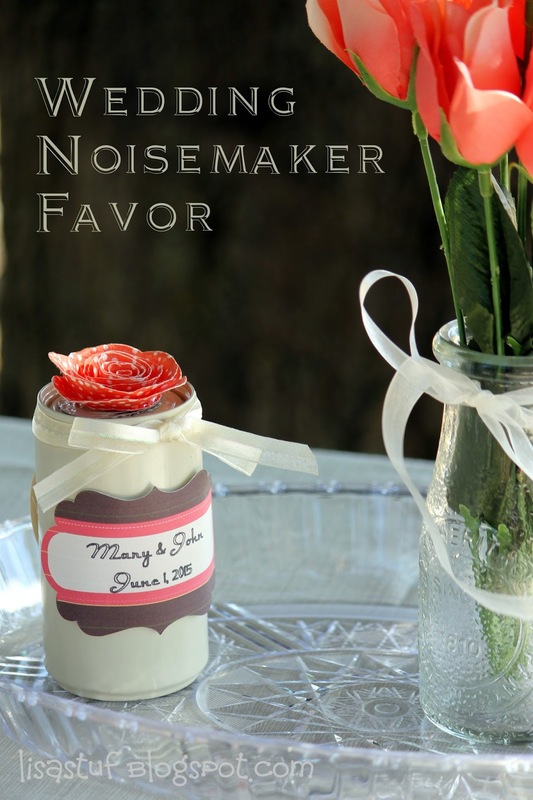 With a little help from hubby (whose brain I was picking for ideas...), I came up with this simple noisemaker made from an aluminum soda can with bottle caps inside to create the "noise". I wasn't quite sure how to make an old soda can look elegant (or at least appropriate) for a wedding...but I figured I'd give it the old college try and see what I could come up with. 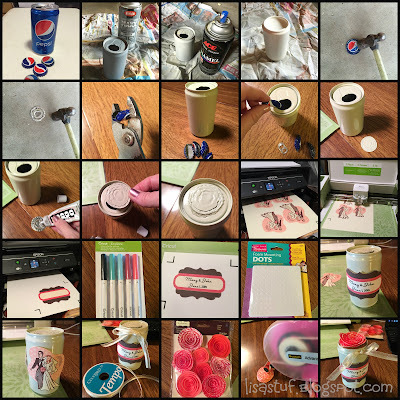 I spray painted the can with an antique white color and bent several bottle caps in half and placed them inside the can so that it would make lots of noise when it was shook. I sealed the can top off with a flattened out bottle cap and secured it with E6000. 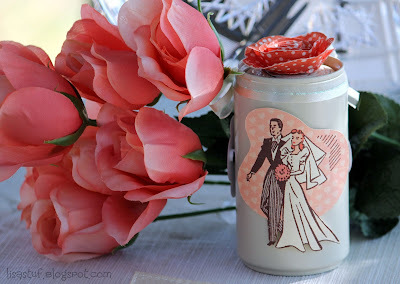 I decorated the painted can using die-cuts that I made using my Cricut Explore and then accented the can with sheer ribbon and a paper flower on top. 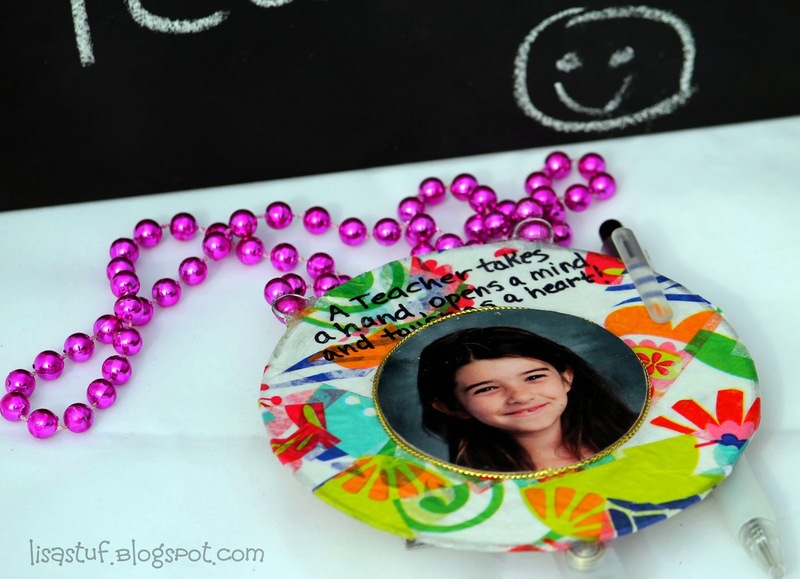 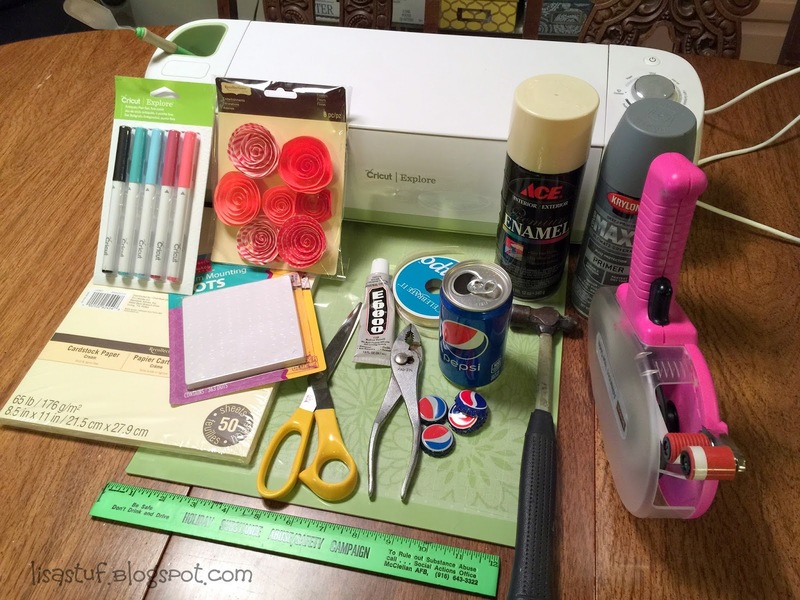 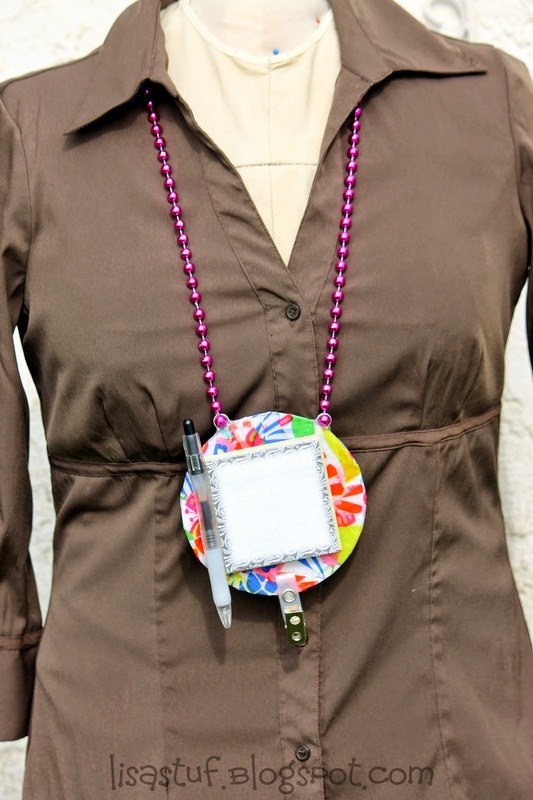 Of course, you don't have to use a Cricut Explore or any other die-cut machine to do this, there are so many possibilities for embellishing the can but for the purpose of keeping this craft to 15 minutes or less, I decided the Cricut was a timesaver. 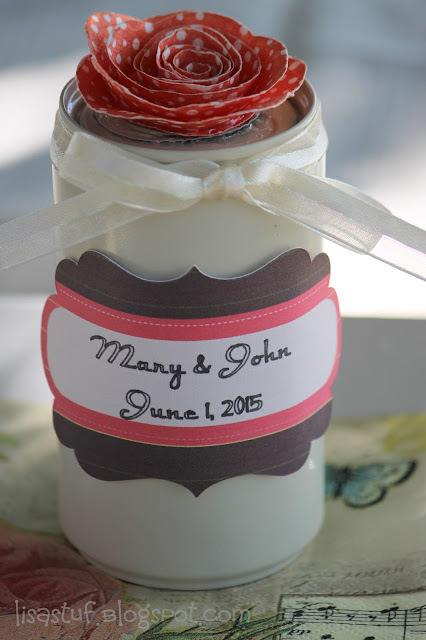 Newlyweds Image (#MB9501) from Cricut Cartridge (Library) "The Good Old Days"
Be sure to click on the info graphic below to see more great wedding projects that can be made in 15 minutes or less! 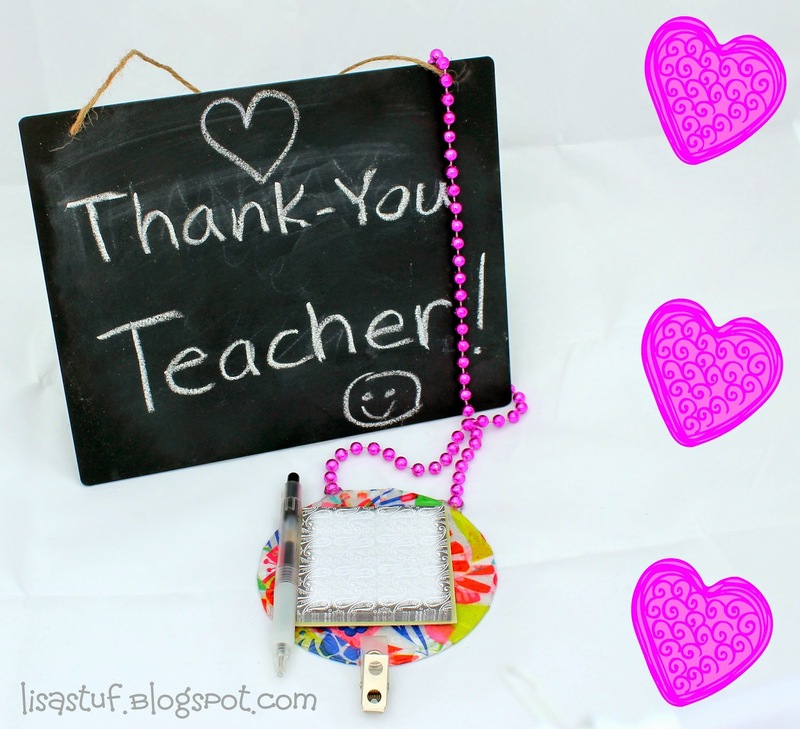 Thanks for stopping by for a visit...Please leave a comment and let me know what you think!